While writing an article about the Philippine Green Building Council, I learned that they have teamed up with the European Union’s Switch Asia program to launch and implement the Zero Carbon Resorts project. 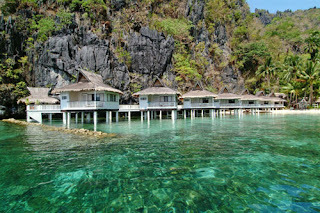 It sounds like an excellent project, and it’s currently underway in two El Nido resorts in Palawan, Philippines. Changes are afoot in these resorts, starting with making the switch from the use of fossil fuels to renewable energy. Recycling will also be implemented, and as with any new program, training will also be provided for the staff of the resorts so they can fully understand the goals of the project. It’s still in its infancy, so it will be nice to see if it works out and if other resorts can be encouraged to make the same changes. After all, it’s not exactly a good idea to go to a seemingly clean and unspoiled destination and then find out that the resort or hotel where you’re staying is actually polluting the entire place.